Originally published by The Wall Street Journal September 30, 2018. When startled, the dusky gopher frog covers its eyes, looks out, and covers its eyes again, as if playing peekaboo. This shy frog would seem an unlikely candidate to draw the attention of the Supreme Court. Yet the dusty gopher frog is the star of a case that will be heard Monday, Weyerhaeuser v. U.S. Fish and Wildlife Service. For decades the dusky gopher frog’s habitat has been shrunk by fire suppression, human development and other factors. Today this species lives only in a few isolated ponds in southern Mississippi. Like most endangered species—70% of which depend on private land for most of their habitat—the dusky gopher frog’s recovery depends on private landowners’ incentives to create conditions in which it can flourish. Unfortunately, federal regulations skew those incentives. Under the Endangered Species Act, the government imposes burdensome regulations on private landowners who preserve habitats and allow rare species to live on their property. In effect, the law punishes the very people responsible for species’ survival. Weyerhaeuser concerns a provision of the act that authorizes bureaucrats to designate private land as “critical habitat” for rare species, costing private owners time and money. That might seem reasonable to protect wildlife, but the government has often extended critical-habitat status to areas where endangered species aren’t threatened—or where they aren’t even present. Weyerhaeuser asks whether the federal government can designate private land as “critical habitat” if it isn’t even habitat at all. In 2011 the U.S. Fish and Wildlife Service designated 1,500 acres of private land in Louisiana for the dusky gopher frog, even though it acknowledges none live there or could survive there without substantially changing the land. The agency based the designation on the possibility that the land could be converted to habitat by burning down its trees, planting different ones, and by altering its ponds to provide breeding sites. The agency has no authority to require these changes, so that the designation harms landowners without any benefit to the species. Critical-habitat status makes it more difficult to recover species by discouraging landowners from creating and maintaining suitable habitats. In the dusky gopher frog case, the government estimates that the designation will cost property owners as much as $34 million. Do the feds expect the owners will go on to make the additional investments needed to prepare for hypothetical frogs? 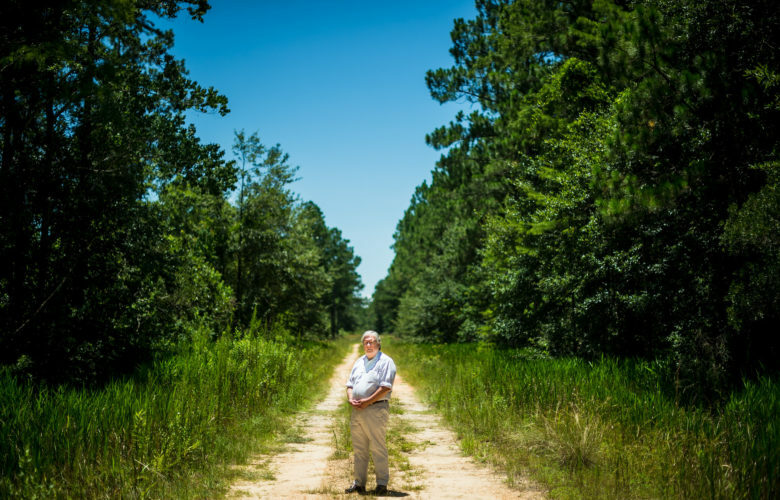 The designation breeds resentment among landowners who otherwise might be partners in conservation. That’s a shame, because the dusky gopher frog’s future depends on such partnerships. Its existing habitat is too small for a full recovery. Recognizing this challenge, the Nature Conservancy, one of the world’s largest environmental groups, has worked for 18 years to create habitat for the frog on its properties. The group must actively manage the land to maximize the species’ chances of survival and reproduction, including through prescribed burns. That work is paying off. The frog has increased from one breeding population in 2004 to six today. Instead of punishing landowners, government should encourage them to undertake recovery efforts like the Nature Conservancy’s. That starts with removing the strong disincentive to conservation created by critical-habitat status. Restoring and creating habitat requires landowners to sink significant resources and energy into the effort and possibly forgo other lucrative uses of their land. A heavier regulatory burden discourages these investments and increases the cost of recovering species. If the Supreme Court sides with the property owner, it will have struck a small blow for recovering species. It wouldn’t be a complete fix. Ultimately, the Endangered Species Act needs reform, so that rare species are assets rather than liabilities for property owners. Meanwhile, the Supreme Court should not allow regulators to make matters worse by expanding their power at the expense of property owners’ incentives to pursue conservation.